21, 146, 187, 94, 205, 98, 105, 148, 98, 150, 134, 120, 151, 208 and 105. These were the losing margins for Tuggeranong Hawks during the 2018 AFL Canberra season. The side wasn’t given a single opportunity of singing the team song, scoring less than 20 points across four quarters an astounding 11 times out of their 15 games. In a dismal season, Hawks captain Ben Symons recalled a particular moment where the side hit rock-bottom. 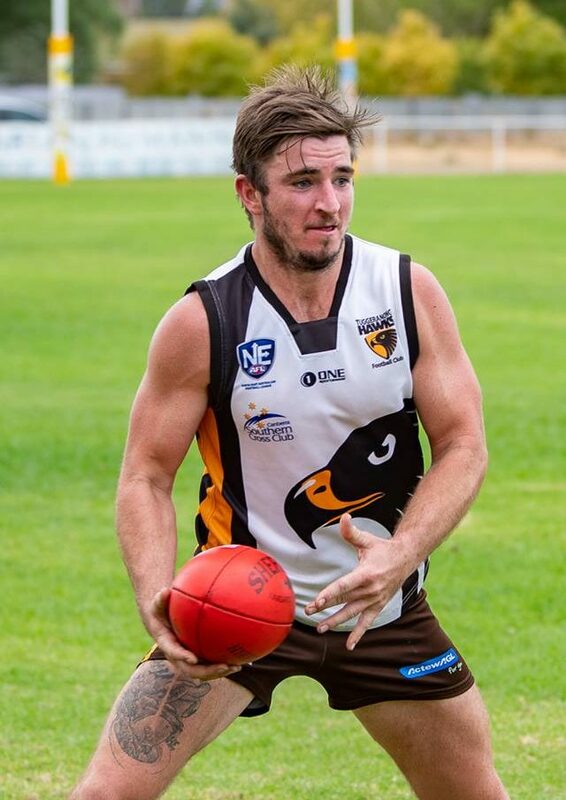 “There was this one moment in our game against Gungahlin Jets in round six, a side who we have pretty much beaten every year, where they were beating us quite convincingly,” he shared with Region Media. “That’s when I thought to myself, ‘oh crap’. Symons is adamant his side can move on from its season from hell and return to the competitive side they once were. Led by 350+ game coach and former club captain Pete Ashcroft, the Hawks are determined to tackle the 2019 season with dedication. Despite going through the 2018 season winless, Symons said the club remained positive and pointed to returning players as a reason why the club would get their season off to a winning start. “A few of the boys have come back from having a stint out in the country and there are a couple who were away last year who have come back for this year, which is good,” he shared. “We had a semi-rebuild on and off the field after last season. We wanted to make the club a better place to be around. We wanted to build team morale and to get a bit more buy-in from all the players. “We set the guideline for what we want to be like and to get everyone to help each other and get back to where we want to be. Symons believes the side will be able to see how much they have improved over the off-season when they come up against an Ainslie side that will aim to get their challenge of a four-peat off to a winning start. The Hawks and the Tricolours finished last season on the opposite ends of the spectrum, with the Hawks failing to win a single match in 2018 while Ainslie won its third premiership in a row. “It is a tough round one but I think it will show us where we will be,” he said. “We have had a good pre-season and hopefully we come out firing.